DISCO is a collaborative intellectual venture at Ohio State that explores the multiple dimensions of identity, culture, social difference, and power within our increasingly complex national and global worlds. Its goal is to foster understanding about the possibilities and complications of social differences related to gender, race, ethnicity, class, sexuality, dis/ability, etc., and their intersections. DISCO thus offers a variety of opportunities for faculty, students, staff, and the community to come together to discuss innovative research and teaching in these areas. It is our belief that interdisciplinary, intersectional, cross- cultural work is the necessary path to understanding the borders and barriers that divide and marginalize people, and to fostering ethical relationships that bridge these divides. Promote innovative and intersectional research on issues of diversity, identity, and social difference and power. Coordinate and advertise courses and curricula on these issues. Sponsor diversity-focused intellectual and creative programs. This series provides a forum for Ohio State faculty and graduate students to present their work-in-progress or recently published, performed, or exhibited work connected to issues of dis/ability, race, class, gender, sexuality, ethnicity, and other social differences. If you are interested in presenting your work through this series, please contact DISCO via email at disco@osu.edu. This fund supports student scholarships for undergrads who are pursuing a minor or relevant major in one of the DISCO interdisciplinary programs. Funds are typically used for tuition and fees, study abroad programs, and conference travel. ￼￼￼This fund supports programming presented or co- sponsored by the Diversity and Identity Studies Collective at OSU, including but not limited to lectures, colloquia, workshops, conferences, and other events. DISCO’s five academic programs each offer an undergraduate minor. Additionally, the Sexuality Studies program offers a major, and Disability Studies, Latina/o Studies, and Sexuality Studies also offer Graduate Interdisciplinary Specializations. DISCO administers an Interdisciplinary Programs Scholarship to support undergraduate students who are enrolled in any of the DISCO interdisciplinary minors: American Indian Studies, Asian American Studies, Disability Studies, Latino/a Studies, and/or Sexuality Studies. 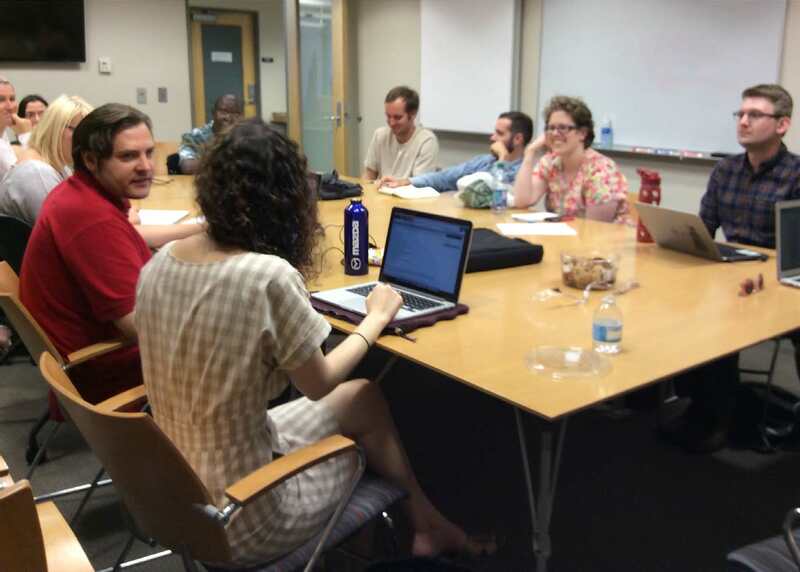 The DISCO Graduate Student Caucus works to build and support a community for graduate students to engage with issues of working, teaching and researching within identity and diversity studies. DISCO is proud to share You Be You! Explaining Gender, Love, & Family, by our own GAA, Jonathan Branfman. Jonathan co-created You Be You! with illustrator Julie Benbassat, to help kids understand LGBTQIA diversity from a young age. The book also explains privilege, oppression, intersectionality, and allyship. Written for ages 7-12, You Be You! also caters to adults looking for an accessible intro to these topics. Translations into ten languages are forthcoming in the next few months. In these heady political times, public scholarship by, from, and about Latinx populations is more urgent than ever. Building on decades of radical organizing and public intellectual activism by women of color and anti-racist thinkers and more recently through the trailblazing work of the online journal Mujeres Talk, Professor Theresa Delgadillo, Director of the Latina/o Studies Program in DISCO and lead editor for this new online publication, is pleased to announce the launching of Latinx Talk to help envision the future of necessary and urgent activism for, by, about, and on behalf of Latinxs and other people of color in the United States and internationally. Margaret Price, associate professor of English and director of the Disability Studies Program in DISCO, is one of 25 individuals and four organizations that have been inducted into the Susan M. Daniels Disability Mentoring Hall of Fame, organized by the National Disability Mentoring Coalition. The honorees — nominated by their mentees — were selected based on their dedication to mentoring and their impact on the lives of youth and adults with disabilities.